This is an Automatic Charger with Trickle Mode in order to not overcharge your batteries and keep them running stronger for longer. This is a 5 amp Charger and is designed for overnight charging. Charging time is usually between 4-6 Hours. (depending on your batteries condition). This is a great charger that will not break the bank and that will get your cart up and running once again so you it can spend more time on the golf course than in the garage. If you have any questions about this product by GolfRama, contact us by completing and submitting the form below. If you are looking for a specif part number, please include it with your message. 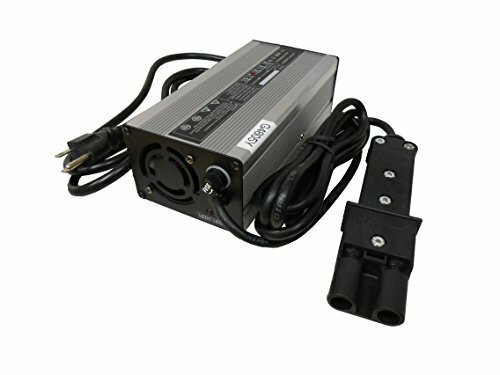 ClipperCreek HCS-50P, Plug-in 240V, 40A, EV Charging Station, 25 ft charging cable, NEMA 14-50, SAFETY CERTIFIED, Made in America. SAVE $200 NOW!